Dr. Squires shares his enthusiasm for Interesting paleontologic and geologic topics with the general public. In my last post, I showed pictures of an unusual Cretaceous gastropod belonging to genus Trochactaeon, which belongs to the actaeonellid family. It is unusual because of the structure of the interior of its shell. In this post, I deal with yet another "unusual" gastropod, and its internal-shell structure is even more "unusual," some might say "bizarre." This "bizarre" snail belongs to a group known as the nerineids. This group lived during the Jurassic and Cretaceous (see diagram above). Like Trochactaeon, nerineid gastropods are indicative of tropical to subtropical conditions and were confined to an area roughly parallel to the equatorial region. 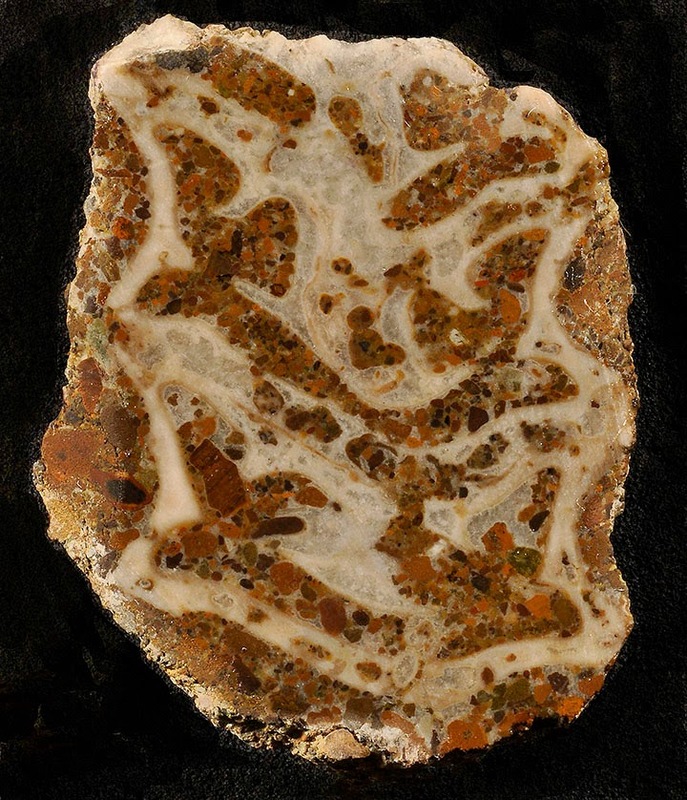 The above photograph is the exterior of the shell of one of several species of nerineids found in the Alisitos Formation of Albian age. 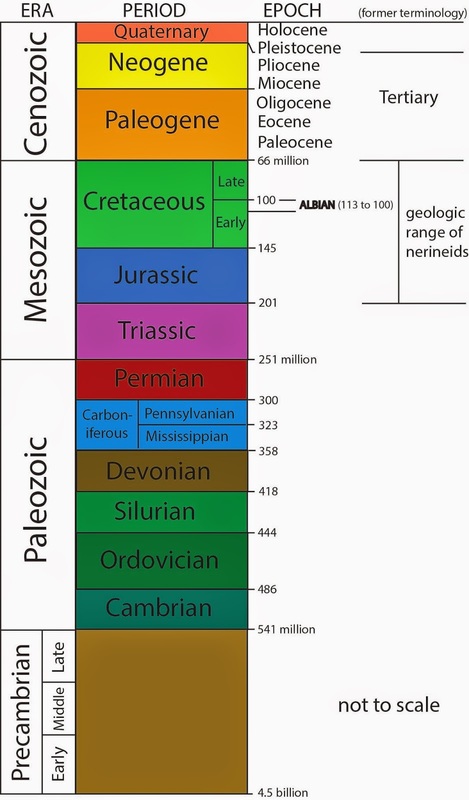 The Albian correlates to a specific interval of the Early Cretaceous (see above diagram). The exterior of this shell (height 4.5 cm, width 2.7 cm) of Eunerinea sp. is very poorly preserved. This photograph shows the interior of the same specimen shown above. As in most nerineids, the body cavity has the development of spiral folds (reason[s] unknown). This specimen helps prove the old saying (i.e., changed slightly, herein): you cannot judge a shell by its exterior. All images and text are copyrighted by R. Squires, unless otherwise noted. . Simple theme. Powered by Blogger.